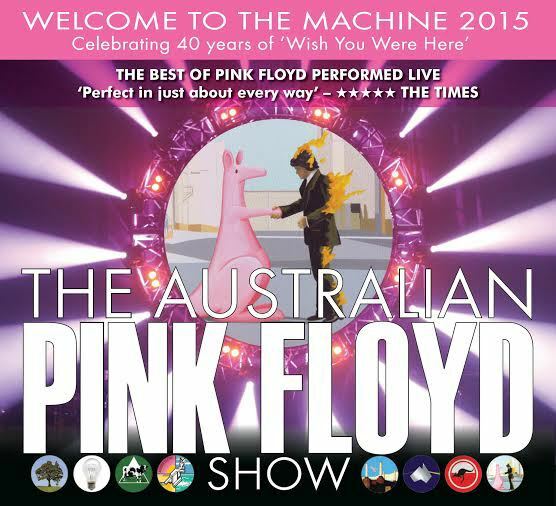 The Australian Pink Floyd Show formed more than a quarter of a century ago and after selling four million concert tickets around the world they have no plans to slow down. They have just announced their 2015 European tour, with a date at Birmingham NIA on March 20. I spoke to keyboard player and founder member Jason Sawford to find out more. What attracted you to the music of Pink Floyd and when you began did you think it would last over 25 years? We were just a bunch of guys who got together to play the music we loved. Tribute bands were a new thing in 1988 and we didn't think of doing it professionally at first, more of a hobby, something we'd do at the weekends. People liked what we were doing and in 1993 we took our concept to the UK and basically built our reputation over here. It's been an ongoing process and it wasn't until the mid nineties that we thought we could make a career out of it. What are your plans for the 2015 European tour? It will be the 40th anniversary of the release of the Wish You Were Here album. We'll be concentrating on the songs from that album and drawing on some of the ideas and themes from that album as a celebration of one of Pink Floyd's most memorable albums. Do you have any ambitions to record original music? We certainly did when we arrived in the UK in 1993. We had even written an album and sometimes did an hour of our own music before doing a Floyd show. It was a lot of work and then we had a slight line up change and the dynamic changed and we concentrated on Pink Floyd. We often talk about doing something original again. I'm currently working with Dave, one of our guitarists, on a project. We recorded an album last year. As a band TAPFS concentrates only on Pink Floyd music but we do have individual projects going on. Is there any Pink Floyd material you'd like to perform but haven't yet? We've covered most of their most well known stuff and a lot of their less well known songs. There's a lot of really early period material I'd love to do - some of the songs from Obscured by Clouds, perhaps, or Atom Heart Mother. What are your favourite Pink Floyd tracks and why? For me personally, maybe Shine On You Crazy Diamond, Echoes, Dogs - they have some great keyboard parts and go beyond the conventional song format. They are almost like rock symphonies. Are there any countries you'd like to perform in but haven't yet? We've done many countries over the world but nothing in Asia as yet. I'd love to play in Japan or even India. 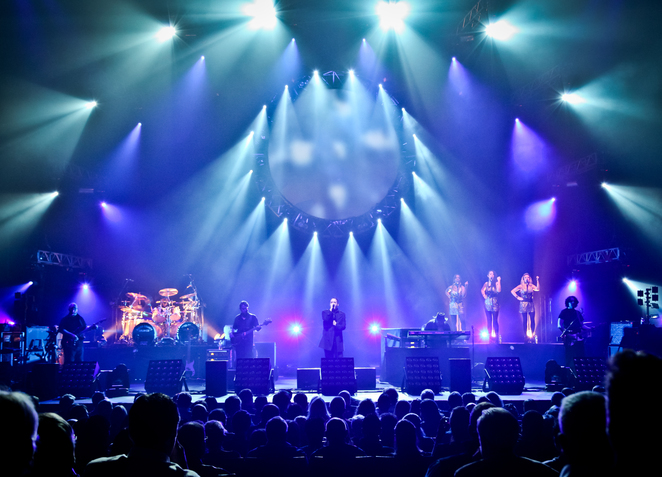 Which country has the most fanatical Pink Floyd fans and how do they show their support for the band? Pink Floyd fans are found all over the world. Some of them travel many miles to see us and will follow us around on tour. We have some UK fans who make an annual pilgrimage to some European city to see us play. We have a group of French people who follow us around France and even come to the UK. We have had a great response in the US and in Canada where we play to audiences of nearly 10,000 sometimes. What are the highlights of the band's 25 year career? There are so many. When we first met David Gilmour in 1994 and later played at his birthday party, The first time we played at the Royal Albert Hall, our first tour of the United States, when we played to 15,000 people in Malta and met the prime minister there. Recently we played at Jodrell Park and used the giant radio telescope bowl as a screen. It was a great night. Which other bands do you listen to? We have different interests and likes as a band but there's a lot of classic bands like Deep Purple, Led Zeppelin, that sort of thing from that era. More modern bands; I quite like Radiohead, some of Muse but I don't diligently listen to the radio or follow bands that much as such. I'll read books and like to learn about the ideas behind the music and listen to this or that: I listen to a lot of classical, jazz., experimental electronic albums, some folk .Our saxophone player listens to everything and I have many interesting conversations with him about Miles Davis or JS Bach or some '60s experimental band or whatever. Have you heard any rumours about Pink Floyd recording new material? There are always rumours about new Pink Floyd material around but I can't confirm anything for certain. Since Rick Wright passed away there will never be a new tour of the original Pink Floyd but I certainly think that maybe David Gilmour or Roger Waters might continue to write and do something new. I hope so.